UPDATE: We apologize that some photos here are not currently working. 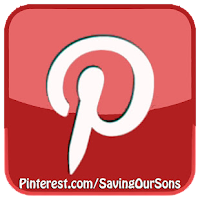 Saving Our Sons was the target of online bullying which caused the loss of a Google account where 90% of our photos were stored. We are working to get them replaced as quickly as possible. Find more carding/stickering ideas in the Card North America album on Facebook. 1) Raise the curiosity of a passing-by public audience who see material in a manner that will spur them to look further into the subject matter (checking out a website, Googling a term) and not have them shut down, build walls, or immediately reject what they see as 'radical' or 'crazy.' Meeting an individual where s/he is at, so to speak - with an item of personal interest, moving them toward a pro-intact place of genital autonomy. 2) Send people home with information that will be found in the privacy of their own environment - where they will then be moved to do the same as described above. For these two goals to be achieved, materials must be utilized in a fashion the fits the intended audience of any given card or sticker, and it must be distributed in such a way that it reaches the intended audience, without disrupting the surrounding environment (i.e. no littering or disrespect to property). With this photo gallery we take a visual journey through a store with suggestions for info cards that have demonstrated to be most effective with each given item. Since 2006, we've received many responses from those who've found a card, and kept their son intact as a result. 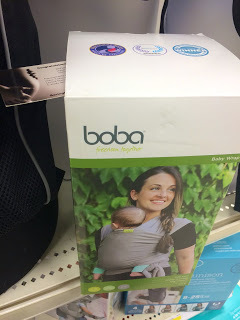 For some, this has occurred because they were planning to breastfeed, and followed an info card through to breastfeeding information which also led them to intact information; for others it has happened in much the same way when they were curious about topics of birth, babywearing, or baby sleep. 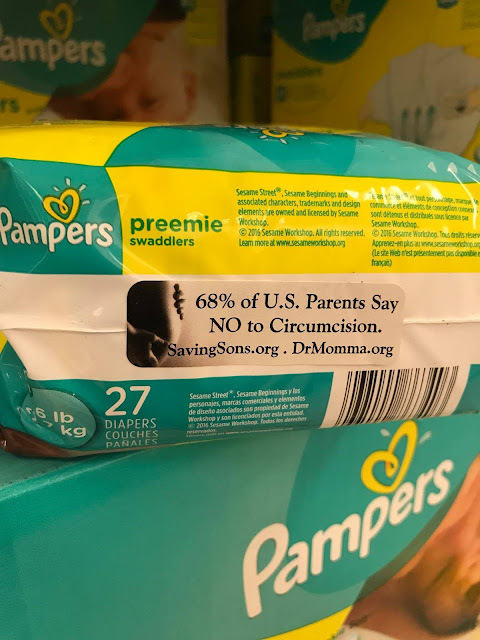 For many, they were moved to research circumcision and the benefits of keeping their baby intact because of an intact specific card they came across. Some of the most touching letters received have been from parents who had circumcision scheduled -- for the next day, or the next week -- and as a result of finding an info card at Target or Walmart, their local library or grocery store, they did some last minute investigation, or contacted Saving Our Sons, and canceled the scheduled surgery. Last minute saves DO happen - and it is directly because of advocates who are willing to plant a seed to be found. Thousands more keep their next son intact because they found an info card 1, 2, 3 years earlier... Carding is an effective means of reaching an audience who may otherwise never find intact information in another format. 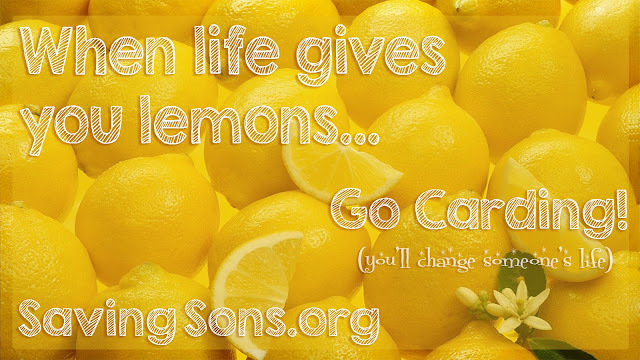 If you have a photo to share, or a story to tell, we invite you to write to SavingSons@gmail.com or PM the SOS Facebook page. Browse further ideas in the Card North America album, and pick up a One Store Card Kit at the bottom of this page, or by clicking the Info Cards tab at the top of this site. Thank you for planting seeds and saving babies. Matched Audience: Always use an info card that is applicable to the intended audience. 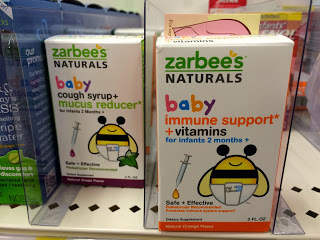 For example, use a breastfeeding related card *with* a go-to source for intact information in breastfeeding related items; use a 'Future Sons' or 'New Parent' card in things such as diaper boxes, wipes containers, and books meant for those who've already had their baby; use babywearing cards in wraps/slings/carriers; use 'Expecting' or 'Did you know...' intact-specific cards for items geared to pregnant women (maternity clothes, belly bands, prenatal vitamins, pregnancy magazines, OB waiting rooms, etc.). 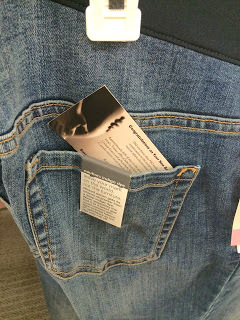 Use 'Lost/Found' or 'Restoration' cards for men's items. 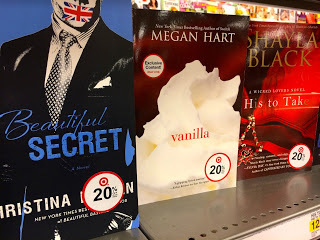 Use sensual cards for women's romance novels or pop culture magazines. Targeting an audience interest is key to stirring someone's interest in a way that results in positive change. Deep to Keep: Always place cards deep into items when possible so they will go home with an expecting mom or shopping customer. An info card should be unseen from the outside of most items or books and not in a position where it will fall out before heading home post-check-out. 411 Rule: Only leave a max of 1 card visible per aisle, and max of 4 total visible per store. Anymore than this and you will trigger someone to search and throw away all cards. When putting cards into rows of items, card the first 1-4 items in a row max (do not card all of them). If someone happens to complain about finding a card in a box, employees will check and remove your remaining cards. To prevent this, only card 1-4 deep in a row, and they will be purchased before that happens. When carding maternity jeans, belly bands, etc., skip every 1-4 so that there is a random scattering among the sizes (not all pairs). This way, if someone is trying on a couple sizes, she may find 1 card, but not a littering of them. 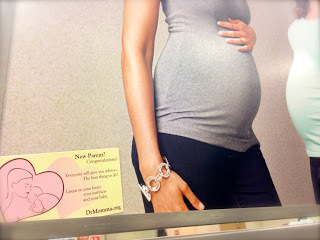 Always keep 1 card with you to hand to any expecting mother you see while in the store. 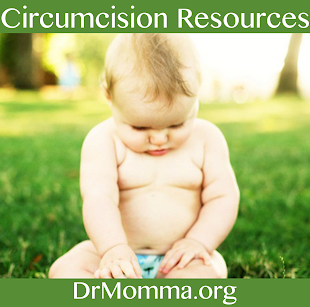 You can simply say, "Someone gave this information to me when I had my last baby, and I thought you may like it too." Smile. Hand card. She will take it and usually thank you. 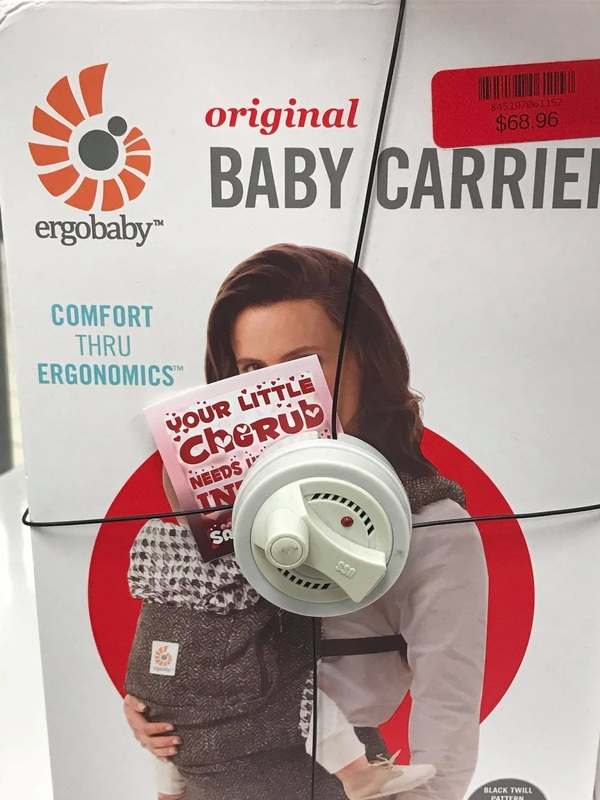 If you do not see an expecting mother before leaving the store, you can leave the card at the check-out counter, in the shopping cart, door handle, RedBox machine, ATM machine, or anywhere along the way. For one adult carding without children, a store can be effectively carded with 100 cards within 25 minutes. This means that 100 families will go home with information. A good percentage of those 100 will look up further information if you are using professional, curiosity-engaging cards. You can be confident that you will save many of the boys born to these families. When someone stumbles into information that they feel was 'on their own' they are more apt to pay attention and dig further. Your role in this is getting that information into future parents' hands in a way that it feels somewhat serendipitous and inviting to them. If you have kids tagging along, you may have to be more simple/selective in your carding, but you can always have a stash in tow and plant seeds along the way. Even 10 families going home with material makes a difference for those 10 babies! If you have a partner or friend able to go along with you and the kids, have them explore the toy aisles while you take care of business. Tip: you can paper-hole punch a corner of a card, tie a piece of ribbon or thread on it, and use to hang on the purse hangers on the back of stall doors. Not all photos here are from the same trip or the same store. Remember the 411 Rule - no more than 1 visible card per aisle, and no more than 4 total visible per store. Most should be tucked Deep to Keep inside items to be found once a customer is home. Great cards for the pharmacy area: New Parent or Congratulations! for prenatals, Did you know? for ovulation kits, Lost/Found or Restoration cards for condoms/lube. 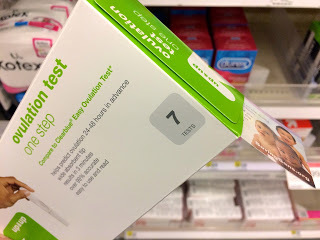 Some ovulation kits are not plastic-wrapped, so a card will slide inside. 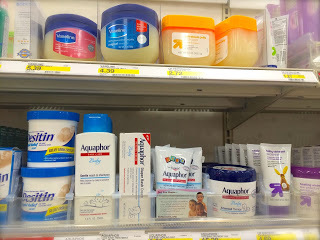 Always leave 1 card of some type by the Vaseline - one of the #1 items purchased before a baby's birth by those who are planning to circumcise. 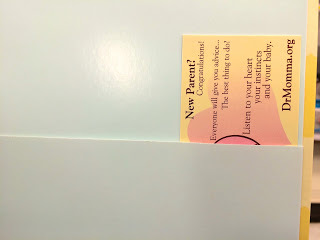 When carding items that will go home to parents who already have a child (therefore the decision to keep their son intact or not has already been made) use a "New Parent" or "Future Sons" type card. 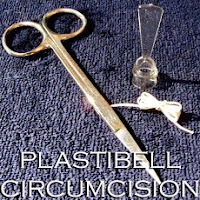 This will open doors to further information for future children, and not close them down if past sons were circumcised. Remember the goal: meeting people where they are at, and walking forward to a place of heart/mind change and enlightenment to save future babies born. Remember 411 -- only leave 1 visible card in this aisle. 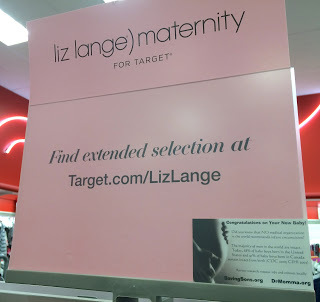 You may also wish to drop a card into the baby boy themed gift bags often in this area; and/or place a holiday themed card by the greeting cards for this season (usually heavily trafficked area). Great cards for the Greeting Card area: Did You Know? or Congratulations!, and/or holiday themed. Remember to place cards Deep to Keep in books - this means tightly inside the last 2/3 of a book, centered inside the page crease. For magazines, flip to a page that does not already have inserts or ads that could fall out, and only card the first ONE magazine per row. Magazines are tossed each time a new issue comes out. You want yours to go home with people - not be wasted. Great cards to use for books and magazines: Lost/Found or Restoration cards for books and magazines geared to men or teen boys; Sensual, Lost/Found, or Restoration cards for best selling romance novels and women's magazines (especially pop culture mags, bridal mags, etc. 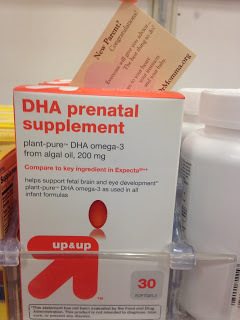 ); Did You Know or Congratulations for pregnancy related books; New Parent? or Future Sons for toddler/child related books; Christian themed for Christian books; Brit Shalom cards for Jewish books. Deep to Keep - centered and snug in the last 2/3 of the text. When pregnancy journals have a lip or pocket - use it! If a book set is plastic wrapped, you can slide your fingernail over the space between the books to make a tiny opening big enough to slip a card between. Photo for demonstration only - do not leave any of the card showing. Remember: ONE visible card max per aisle. These photos were not all taken during the same trip, or the same store. In magazines - only card the front good copy of the magazine set. It is more likely to be read/purchased. 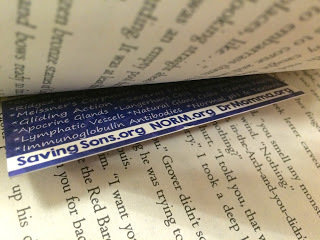 Place the card near the front of the magazine between pages that do not already have leaflets. Be sure to take advantage of best seller / new release displays - card only the first book in each set. Use pockets to your advantage! For faith based books, use Christianity cards for those targeted to Christians, Brit Shalom cards for those targeted to Jews. Don't forget the teens! 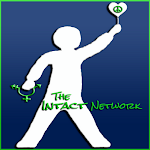 The young people of today are the parents of tomorrow and are usually the easiest to 'get it' when it comes to genital autonomy information. Plant Lost/Found or Restoration cards so that teen boys reading who may be circumcised have someplace to go for more information and are not left feeling hopeless... At the same time, these cards give teenage girls food for thought, and most reading teen romance novels will already be thinking about these subjects in one way or another. Look for top sellers with heavy buying potential - pop culture magazines that a store sells a lot of. Great cards to use: Lost/Found or Restoration cards by the socks, boxers, or t-shirts. Great cards to use: Congratulations! and Did You Know... in back pockets and belly bands. ONE in the display if you wish. Remember to skip every other pair, or every 2-3 pairs, depending on how many cards you are using up in this area. Do *not* card every single pair or you will be more likely to have your cards found and tossed into the trash. Quality carding is more effective than quantity carding. 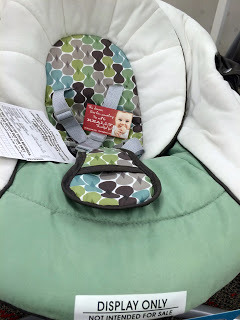 Tip: Boppy pillows have a zipper that easily slides open to slip a card inside; only card the first 1-2 in rows of breastmilk bags; leave 1 under the display area or on the shelf near the breast pumps. Remember: cards go all the way into items. These are only sticking up to show where they easily slide in. Don't forget to swing by the nursing bras! For bottles, which may be used to feed babies pumped milk or formula, using the "New Parent?" or Ezzo Info cards is a good option. Both lead parents back to websites and groups with #i2 info. Tip: Tuck your card deep inside the outer fold of a blanket that is folded over itself - where your hand can slip in and a card will not fall out the other end. 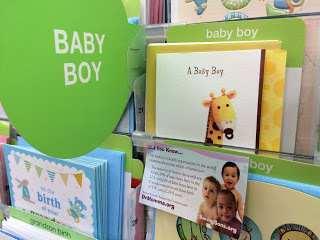 Great cards for baby blankets: Did You Know... or Future Sons for blankets marketed for boys; New Parent? 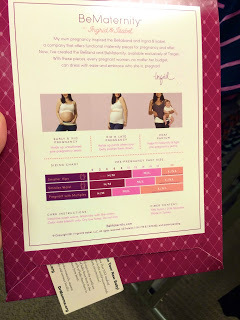 or Ezzo Info cards for blankets marketed for girls (remember: ultrasounds are sometimes wrong, and many parents who have a little girl go onto have boys). Look for the folded pocket area where your hand will slide all the way in to the other end, and be covered by the fold - the card cannot fall out here until the blanket is unwrapped at home. 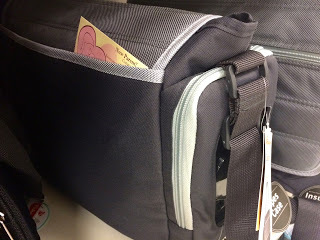 For photo examples of the inside pocket - push them all the way inside so they will not fall out. Tip: Tuck the cards inside onesie sets between the second and third onesie. 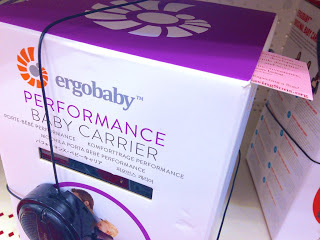 One card can remain visible on the baby hats. Great cards to use: Did You Know..., Holiday themed cards, or Future Sons cards (for outfits larger than 0-3). For photos only to show where the card will be slid inside, between onesies - unless you only have ONE card, do not leave it visible. 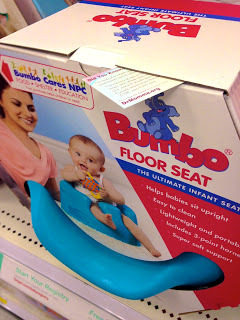 A great place to plant a holiday themed card is next to the themed baby outfits on end caps at stores. Nothing should be visible to passerbys after carding - with the exception of maybe ONE card. Great cards to use: Did You Know... or Holiday themed for newborn and size 1 diapers; Future Sons or New Parent? 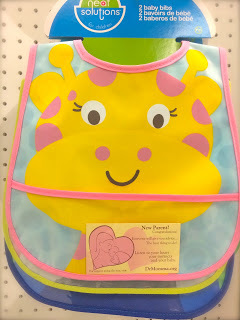 card for any size diapers, and for wipes, ointments, and small boxed baby care items. Many generic wipes containers are the perfect size for a card. 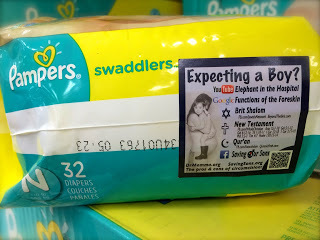 Because wipes are purchased most often by those who already have kids, use a New Parent or Future Sons card (something that will open doors to information, and not close them). 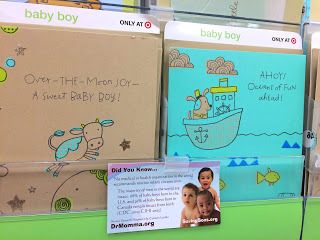 For Preemie and Newborn sized diapers in plastic wrap, use 1 sticker on the end of the package, or place 1 card in front of the row, behind the bar that holds them. Some ointment boxes are sealed, others have open ends where cards slip inside perfectly. Card only the first ONE item in any given row - you want it to go home with someone, not be found and discarded. Some boxes of diapers are sealed with tape and glue - skip them if a card doesn't slip easily under the lid. Focus on Newborn and Size 1 diapers, as these are most often given as gifts to expecting parents. Great cards to use: Babywearing, New Parent, or Future Sons cards. All will lead parents back to intact information. Great cards to use: for these items we suggest using up any remaining cards you have left over that are themed to babies/parents. 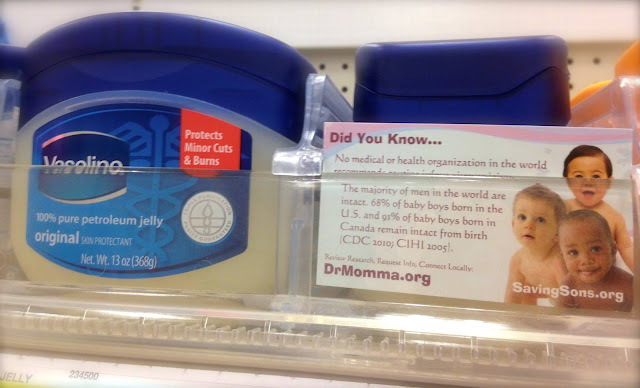 We typically use Did You Know... cards in any items marketed to parents of boys (or items that would be given during baby showers). Remember the 411 Rule and only leave ONE visible in any given aisle, or on an item, and only 4 total visible in a store. 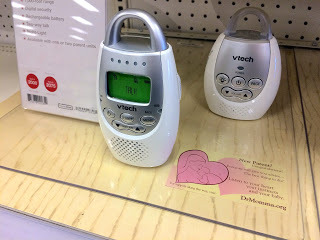 The photos below are from multiple stores on different visits. Keep 1-2 cards for your walk out the store, in case you see an expecting mom, or to have one to leave at the register, RedBox, ATM, etc. Far too many times we've used up all our cards only to run into a pregnant mom at the check-out and have nothing to give her. 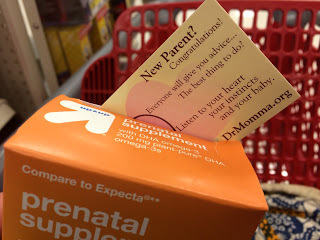 Keep one "New Parent?" card as this is fitting to anyone. Carding the holiday merchandise at different times of the year reaches a different/new audience. It adds a little spice to your carding adventure, and especially at times of the year when holiday items appeal to young people (Halloween, Valentines, for example) you're reaching an engaged and interested audience by using matched-themed cards that spark curiosity. Saving Our Sons offers professionally printed cards at cost (there is no mark-up). They are extra thick for durability, full color on both sides, and laminated to last. All include shipping. You are also welcome to download and print cards on your own with our files, provided the images remain intact. View all cards in detail at Etsy.